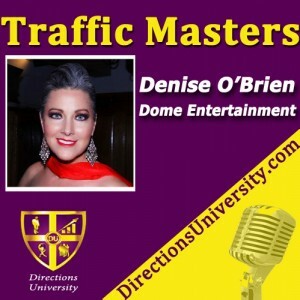 Denise O’Brien Rocks The House on Traffic Masters! Denise O’Brien, Award-Winning Entrepreneur & Humanitarian, is an international speaker, event producer, film producer, author, publicist, and mistress of ceremonies. 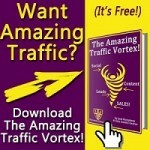 She is also the CEO & Founder of DOME Consulting, LLC, the parent company of Denise O’Brien Movies & Entertainment, an award-winning boutique PR firm which provides innovative branding and public relations strategies for corporations, producers, authors, actors, speakers, nonprofit organizations and empowered men and women from around the world. As a red carpet host, international speaker, and film and event producer, Denise encourages others to discover their own passions and has delivered her powerful message from the Hollywood red carpet to the international boardroom, from the Dallas Convention Center podium to prestigious international platforms on the African, Asian and North American continents. Find Denise on Facebook.